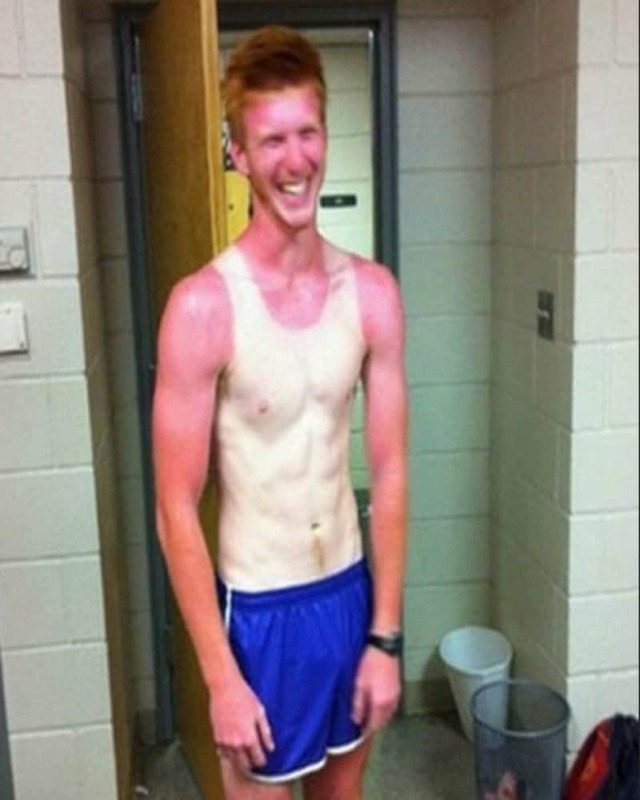 Look, we have all been there. 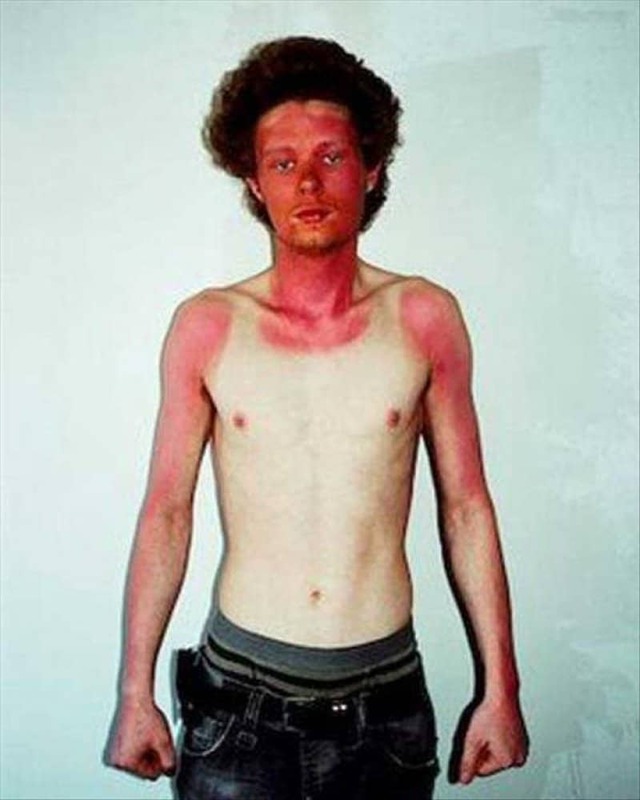 There is nothing worse than sitting out in the sun a little too long and realizing that you’ve scalded your entire body. Oh wait, there is something worse. Taking a selfie of it. 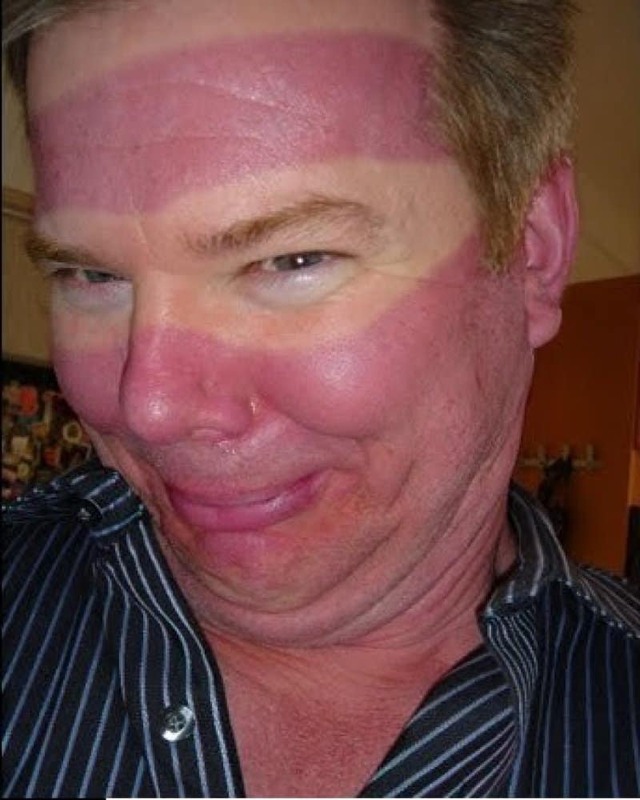 Seriously though, the last thing I would want to do when I’m sunburned is document it for all the world to see. 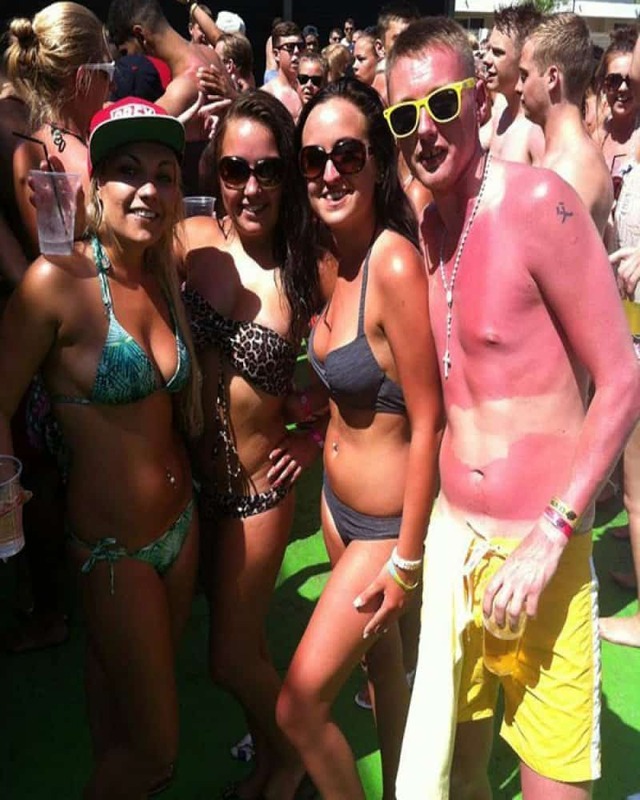 Some things just need to stay on the low, and sunburns are one of them. 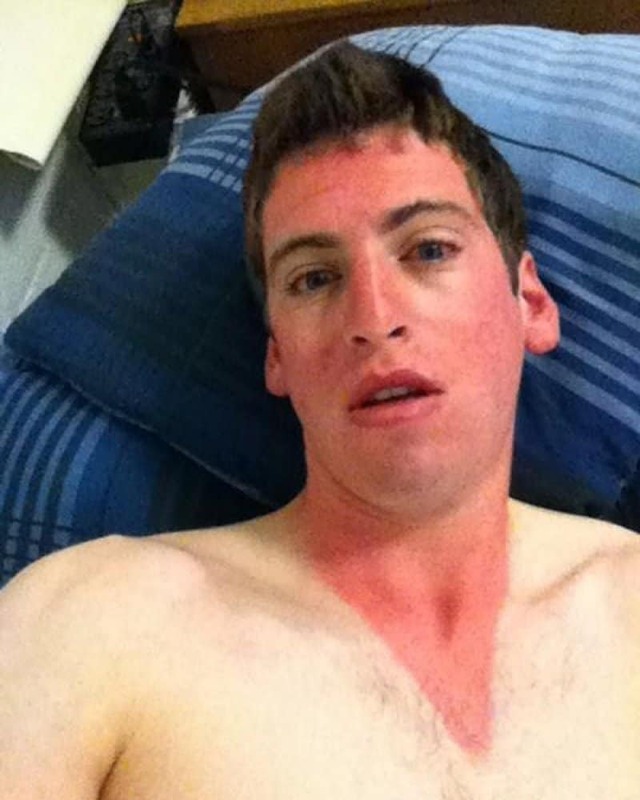 Here are 12 of the most upsetting sunburn photos you will probably ever see. 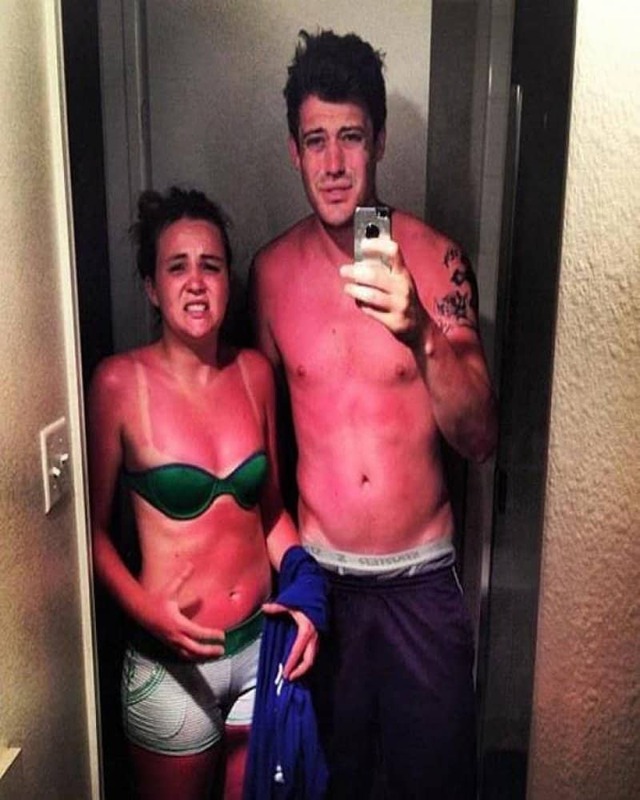 These people all need some aloe, and a hat, immediately. Well, if there’s nothing you can do, then I suppose laughing it off is the only way to go. Kudos to this guy for staying positive. …Might possibly stay together forever. This must have been some kind of crazy bonding experience. At least there’s one positive to come out of this situation, right? Wow. Honestly this one worries me. It looks like a literal Instagram filter. At what point did this person go “Hmm. 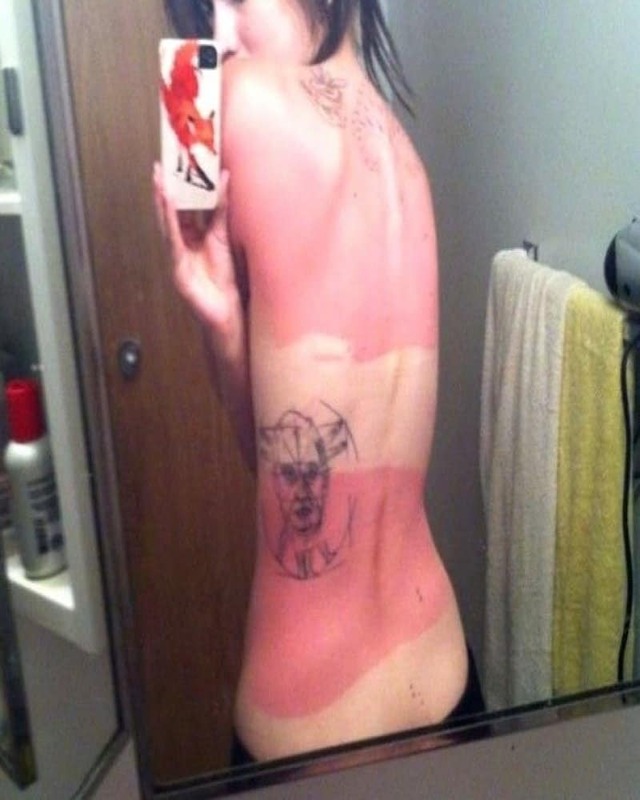 I should probably get out of the sun now” ?? My biggest fear in life. Also, what sunglasses were those? Is this person walking around in ski goggles? 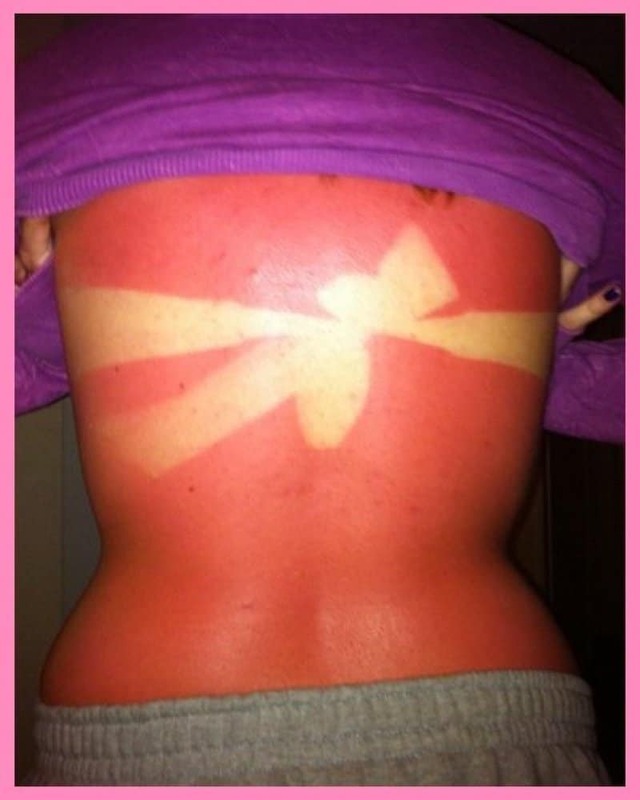 Honestly if that’s your fashion choice then you might deserve that sunburn. This must have been on purpose right? 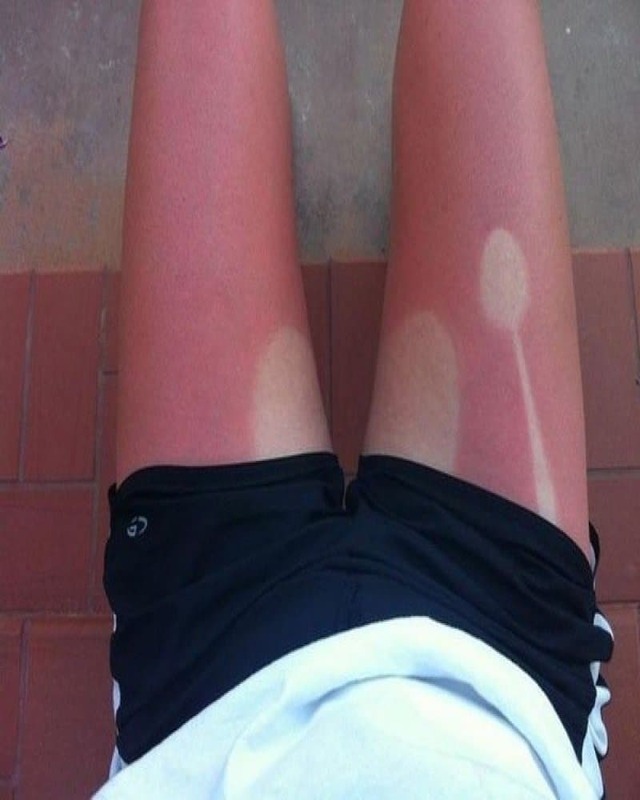 Who’s out here wasting their time balancing a spoon on their leg for hours? 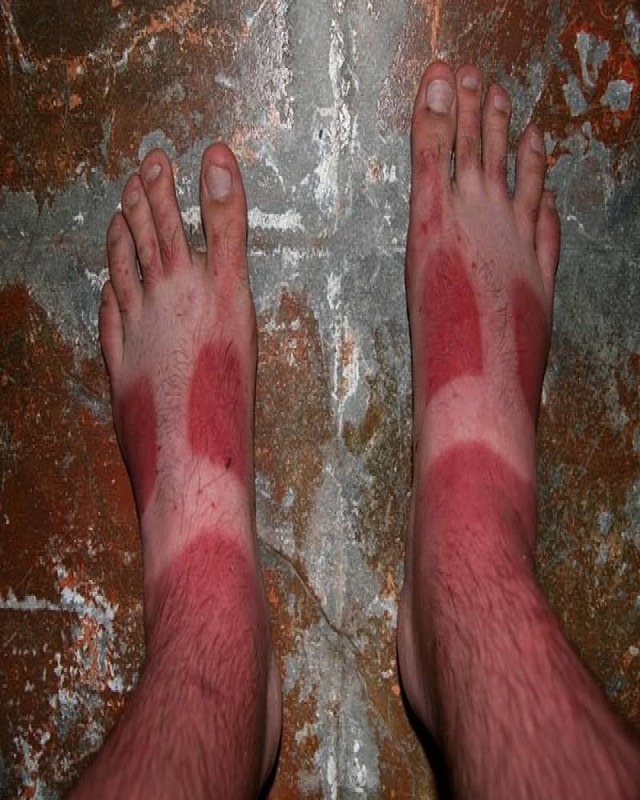 Would rather look at hobbit feet honestly. This one honestly looks kind of cool and she seems to agree. Wait, honestly a masterpiece. 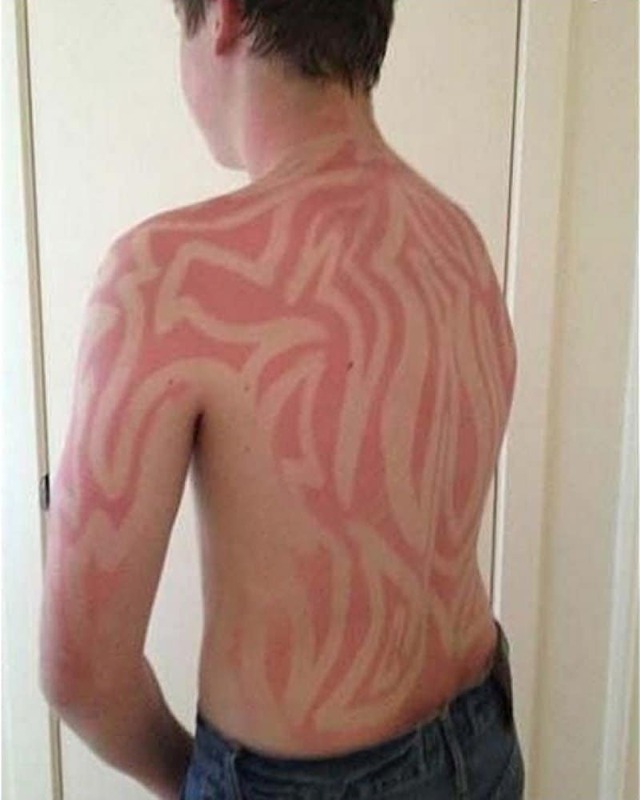 If you’re going to burn you might as well burn with style. Yeah, we know. Get your life together dude. SOMEONE ALERT THIS BRO THAT HE’S NOT GOING TO SCORE TODAY. OR POSSIBLY EVER.